When finance companies had an app for that, they scored better on the J.D. Power 2018 U.S. Consumer Financing Satisfaction Study. According to J.D. Power, a well-designed mobile app has become one of the most critical drivers of customer satisfaction with auto finance companies as a growing numbers of customers are interacting with their finance companies via the convenient tool. And when they do, overall satisfaction surges. The annual study was significantly redesigned based on industry input to capture the full auto finance customer journey throughout the shopping, origination and servicing processes. The study measures overall customer satisfaction in five factors (listed alphabetically): billing and payment process; mobile app experience; onboarding process; origination process; and website experience. 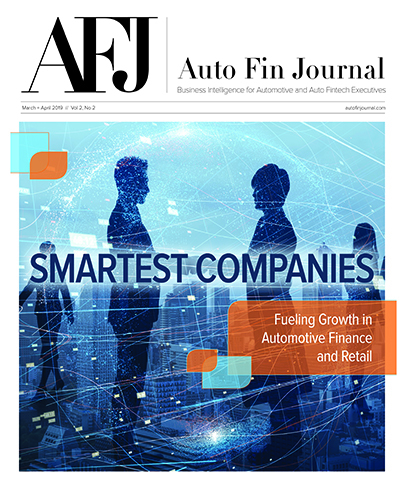 “As the auto shopper journey becomes increasingly digital, it’s critical for auto lenders to get the mobile app formula just right,” said Jim Houston, senior director of automotive finance at J.D. Power. — Mobile app is biggest driver of satisfaction when customers experience all five aspects of the auto loan process. Overall, 23 percent of auto-finance customers indicated that they completed an application digitally (website or mobile app). Among that group of customers, overall satisfaction scores are 55 points higher than among those who complete an application via traditional paper or verbal means (884 versus 829, respectively). When auto finance customers use a combination of website and mobile app for all facets of the application, onboarding and payment process, mobile app accounts for 32 percent of the overall satisfaction score, making it the single largest factor in the customer satisfaction equation. — Auto shoppers look online for financing options. Nearly half (47 percent) of auto-finance customers shopped online for vehicle financing prior to visiting a dealership. Within that group, 42 percent selected an indirect financing option offered by their dealer, and 12 percent selected direct financing through a financial institution. Overall satisfaction scores are highest among customers who secured direct financing outside the dealership (867) and among those who shopped ahead of time but selected the dealer-offered option (857). Satisfaction scores are lowest among passive shoppers who did not research a loan online prior to visiting the dealership (833). — High levels of satisfaction among auto loan mobile app users. Overall satisfaction is high among customers currently using auto-finance apps (874). However, customer use is generally limited to monthly transactions. J.D. Power said there is an opportunity to extend auto finance mobile app capabilities to features desired by customers, thus providing greater value. Lincoln Automotive Financial Services and Mercedes-Benz Financial Services ranked highest in a tie among luxury brands, with a score of 877. GM Financial at 867 ranked third. World Omni Financial Corp. ranked highest among mass market brands, with a score of 870. Volkswagen Credit (863) came in second, and Ford Credit (862) placed third. The 2018 U.S. Consumer Financing Satisfaction Study is based on responses from nearly 14,000 customers who financed a new- or used-car through a loan or lease within the past four years and was fielded in July and August of this year. The complete study rankings can be reviewed here.